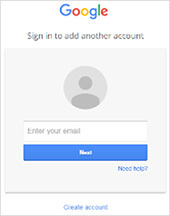 First, make sure you are signed in to your YouTube account. On the right hand side is a button that says “Upload”. So click on “Upload”. Then click “Select files to upload” or drag your file there. After clicking that, it then takes you into your files. Find the video in your PC then click “Open”. 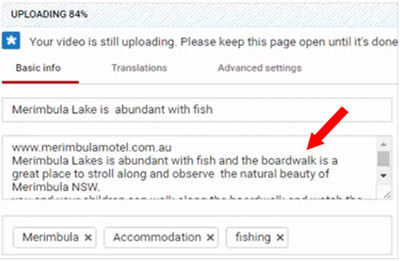 While the video uploads, let’s add the title, description and tags. 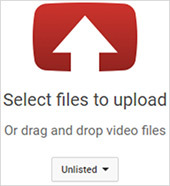 YouTube will use the file name as the default YouTube video title. You can change it to a more descriptive title. 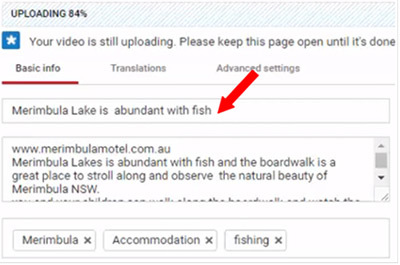 In this example, I’ve titled this video “Merimbula Lake is abundant with fish”. 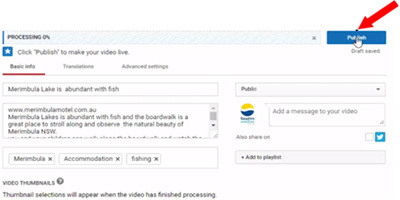 For the description, type in the URL and a description of what the video is about. 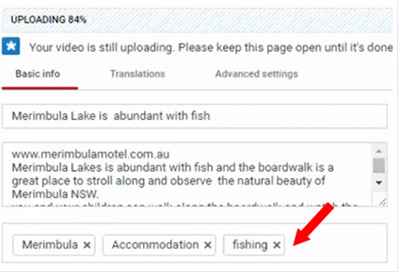 For this example, what I want to do is promote a motel and the things that you can do in Merimbula. Now, let’s go to tags. Type in the tags that best describe your video. We now go to the last step. Once the video has finished processing, the video will now be found on YouTube.